Kylie Jenner Halloween Costume: Ideas & Tutorials for Outfits, Shoes & Wigs! Kylie Jenner Halloween Costume Ideas & Tutorials : Everything's Coming Up Kylie! 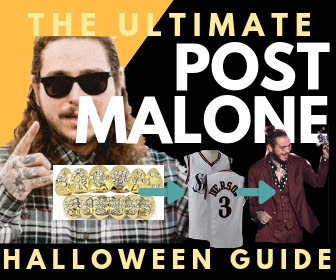 With Halloween just around the corner, it's time to start planning the perfect costume. From the birth of her daughter Stormi, to her wildly successful LipKit, makeup line & the covergirl of every tabloid, 2018 was THE year of Kylie Jenner. What could be better (or more fun) than crafting the perfect Kylie Jenner Halloween costume? With an array of fashion choices, bold outfits, seemingly endless hair changes (black to pink to platinum blonde) and creative makeup, there are so many different options for a Kylie Jenner Halloween costume. Shane Dawson was one of YouTube's first big stars. Having been on the platform for over a decade, he continues to thrive and has become more popular than ever, thanks to his personality, humor, and just plain TALENT. His recent venture into YouTube docu-series has skyrocketed him to another level of fame and respect. There is no one more hardworking (and loved!) than Shane. 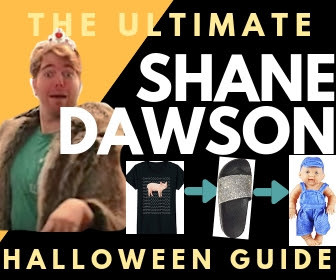 I don't think I've ever been more excited for an upcoming YouTube video than I am for the Shane Dawson 'The Mind of Jake Paul' 8 Part Series!